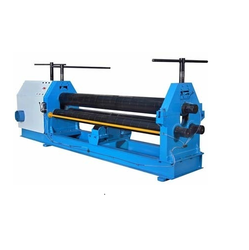 We offer supreme quality MS Sheet Rolling Machine that are widely demanded various industrial usages. Configured with latest technological methods, this sheet rolling machine accomplishes the complete process of rolling the papers/ any form of sheets in a smooth way. Rust resistant, In addition, we also modulate the array in accordance to the detailed specifications forwarded by the client. Max Rolling Speed (metres/min) 12m/Min. Use Sheet Rolling Machine used to roll the sheet to make pipes , etc. 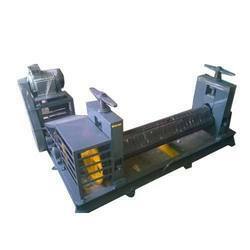 We offer a wide array of excellent quality Sheet Rolling Machine. We have firmly positioned ourselves as one of the supreme automatic Sheet Rolling Machine. 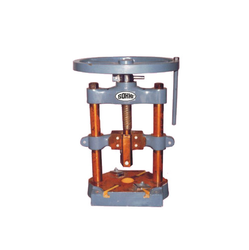 We are the reputed organization and dealing with the Pillar Press Steel Body products with the reasonable prices.